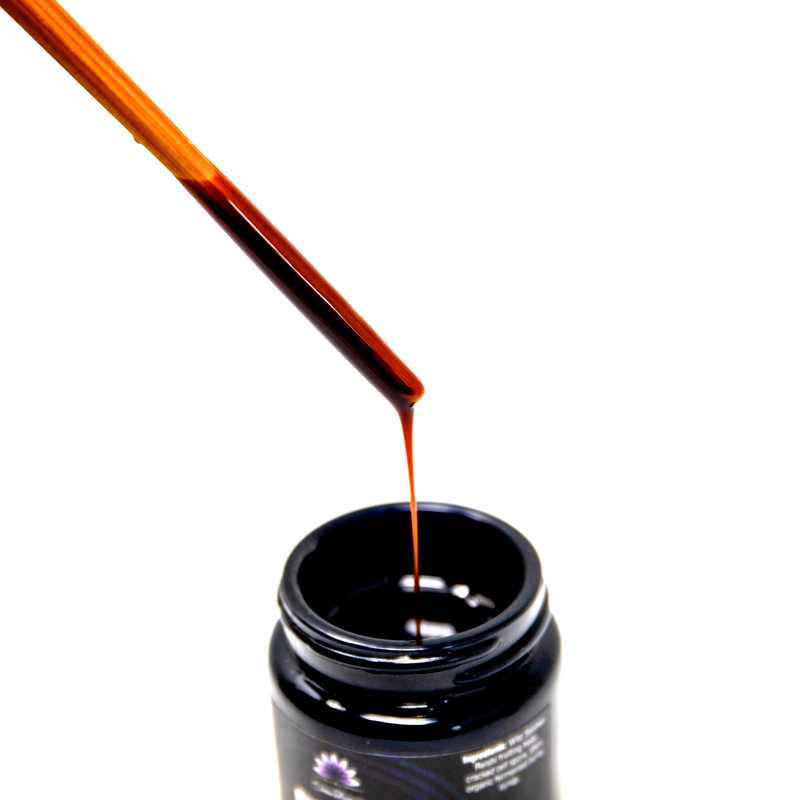 Presence syrup utilizes a fermented organic barley syrup to deliver seishen reishi, a unique and rare mushroom belonging to the ganoderma species, to the brain more quickly than our traditional sake extract. 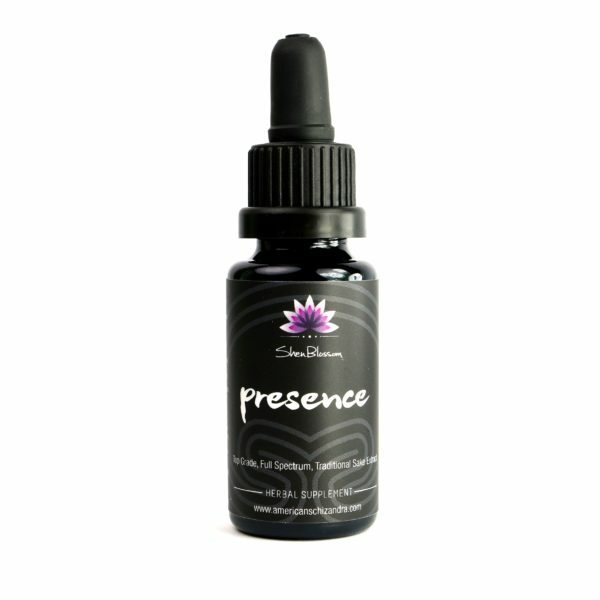 Presence is a premium grade extract of a little known form of reishi called seishen reishi. The word seishen [say•shen] has several meanings, but the main embodiments of this word are spirit, mind, soul, heart and intention. This reishi provides the body all the benefits for which the well known ganoderma lucidium is respected, yet it has a distinctly different taste and feel in the body. 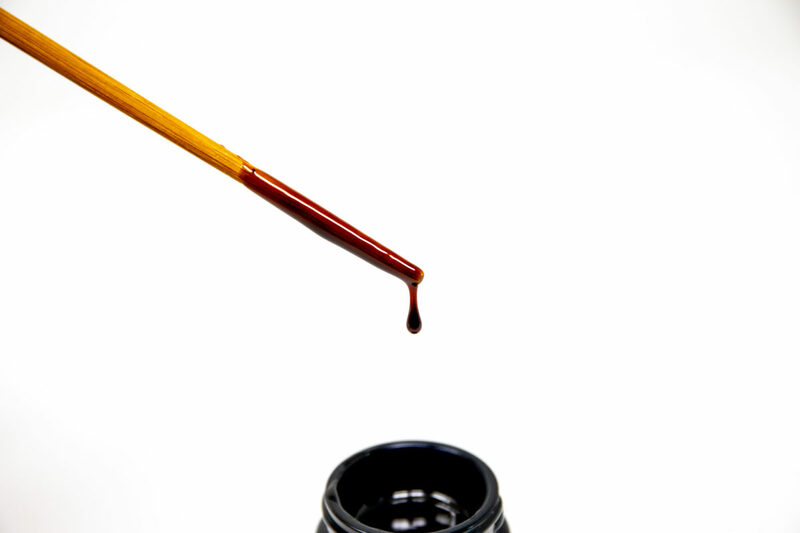 If you mindfully hold a few drops of your Presence formula under your tongue, you will notice a deep calming and relaxing effect come over you. 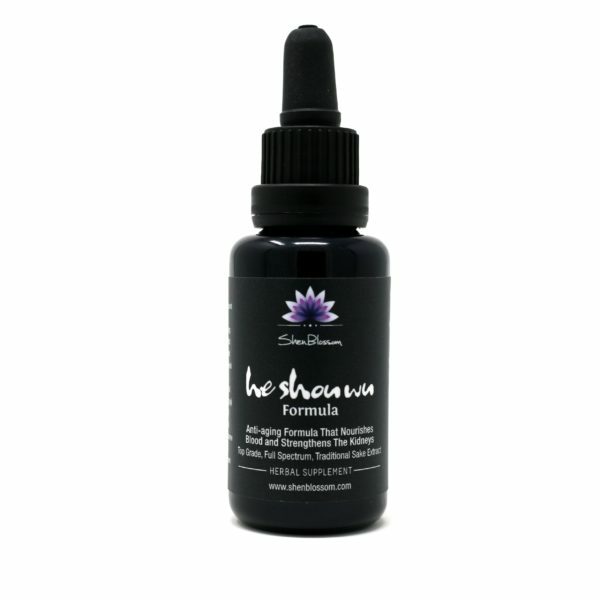 This extract is a powerful tool for meditation and creates a state of relaxed focus and centeredness. In this fermented syrup version, there are two distinct qualities that differ from our traditional sake extract form of this mushroom. The fermented organic barley delivers the nutrients via the small intestine instead of the liver which delivers the nutrients to the brain much quicker. Since this syrup undergoes a proper fermentation process, this particular version has more pre-biotic qualities to support the immune system and mood. Reishi mushrooms grow on wild deciduous trees all over the world. It has been long celebrated as one of the top longevity herbs in existence and is one of the most well researched and studied botanicals in herbal medicine. Having the nickname "Herb of Spiritual Potency" and "Herb of Immortality" reishi mushroom has a long history of not only fortifying and protecting the body, but also calming the mind, balancing the emotions, and nourishing the spirit. Seishen Reishi has a positive effect by helping one to feel calm, centered, and protected, encouraging us to be rooted in the present moment. Presence brings more mindfulness into our days, allowing us to relax into ourselves and release unconscious tension. Being a normalizing substance, Presence adapts us to all varieties of stressors and regulates cellular functions and systems including the endocrine, immune, cardiovascular, digestive, and especially the central nervous system. We are proud to be able to offer this rare herbal treasure that does so much for our mental, emotional, physical, and spiritual wellbeing. Recommended Use: Take 1/8 to 1/4 teaspoon 1-2 times daily. This syrup may be taken directly in the mouth or added to tea. 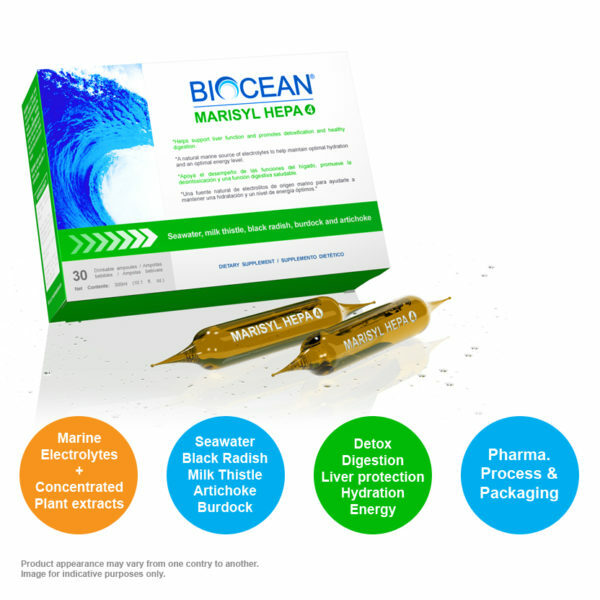 BIOCEAN® MARISYL HEPA 4® UNIQUE SYNERGY OF SEAWATER AND CONCENTRATED PLANT EXTRACTS FOR DETOX!